We are hobby breeders in the Southern California area breeding some of the most beautifully rich in color puppies. 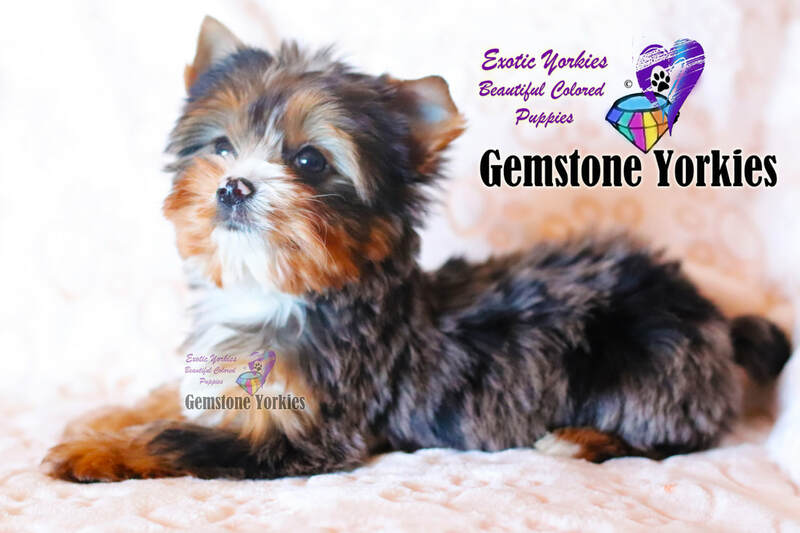 We Do NOT sell to Pet Stores or Puppy Mills. family, socialized with children and other animals. 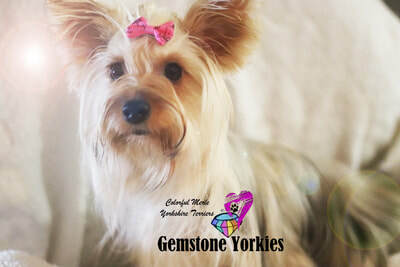 Our Yorkie puppies are APRI, AKC & CKC registered, home/potty trained, and most definitely pre-spoiled. Updated shots and de-worming, local vet health check up and health warranty with contract. Loyal, independent, and Intelligent dogs. guidance and with a wholesome organic diet, aiming towards a lengthy life. 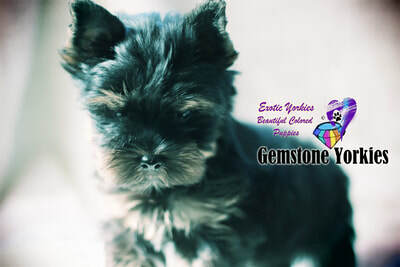 ​All our puppies have displayed immediate strength from birth. 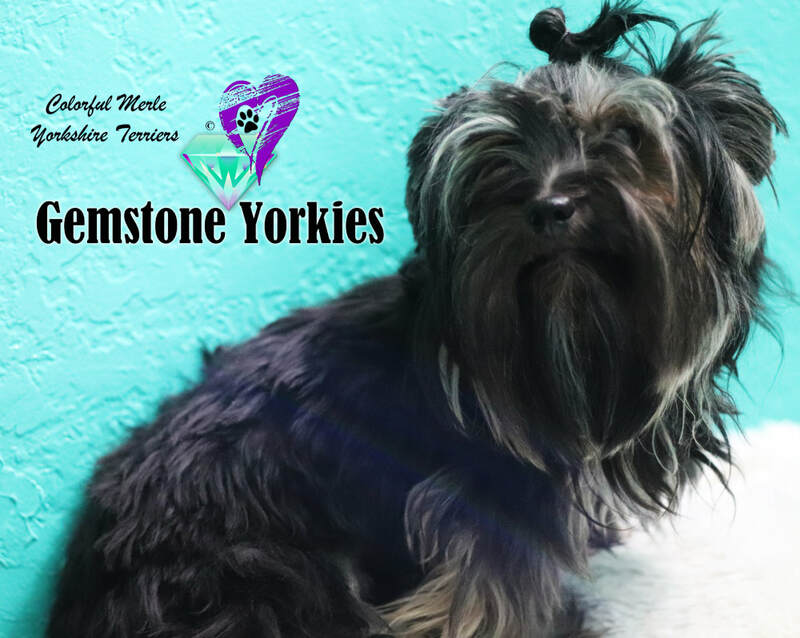 ​The instinct to potty on a pad starts at two weeks of age; inspired to be loved and taught, our fur babies are also raised with other adult Terriers to encourage maximum learning experience. With this said, when adopting a new family memember our Gemstone Yorkie selection is known for mellowing out a room to providing a beauty that’s never ending. We hope to have been of some assistance with a better life! Moringa For Extra Healthy Dogs! Our animals health is very important to us, to introduce a power house of a plant that goes by the name,'Moringa' also categorized as a superfood which originated in the land of milk and honey, 'Africa'. Providing A thru Z, multi-vitamins, iron, calcium, potassium, and protein. Even distributing 18 amino acids, 9 of which are essential, and over 40 antioxidants (Anti-Aging Agents). This top dog of a plant is from 13 species of Moringa, "The Oleifera", (the most common in use), has a back ground for breaking down while building up barriers in the immune system, but its primary objective is, 'to detox the liver' in our pets and humans alike. From personal knowledge, the Moringa has given our yorkies more energy, healthier teeth & bones, smoother pregnancy/delivery, to healthier puppies brandishing quality strength and in- depth character. 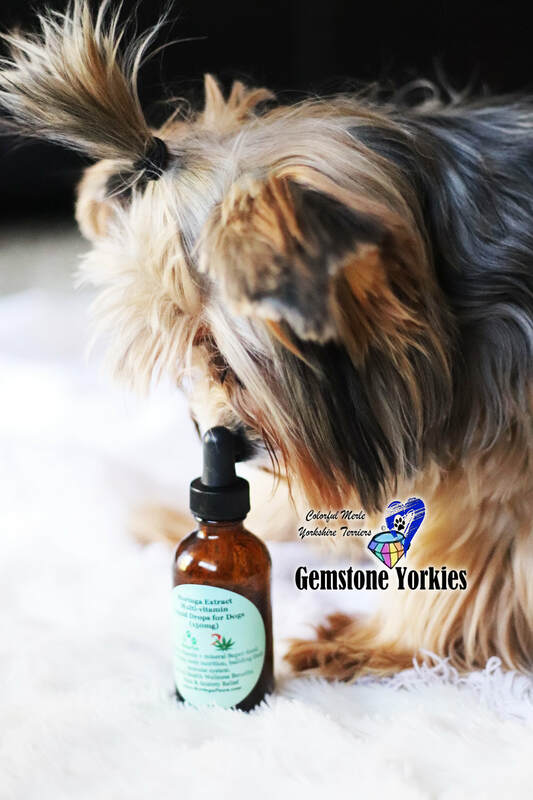 Not to take away from our veterinarians, but if there is a need for further medicinal assistance, We do offer CBD Canabidiol infused products with the recommendation, 'To keep all Vet. check-ups on schedule', they are the mechanic's, doctor's, and professionals needed to keep our pets adequately accessed. By doing this, our pets have a better chance at reaching a ripe old age. 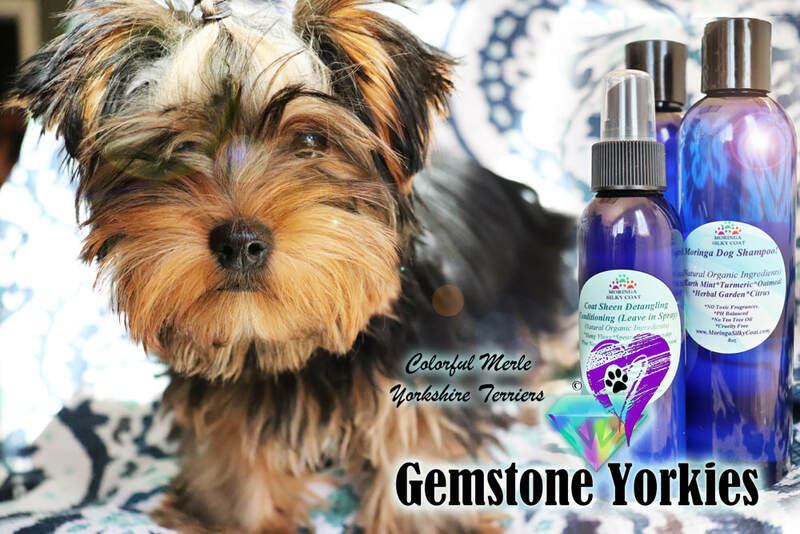 We at Moringa Yorkie Terriers take pride in being able to provide: Please see our handcrafted line of pet grooming beauty products blended with the above (Moringa/CBD hemp) and other all natural organic ingredients.